Do you like Ivy League Princesses? Share it with your friends. 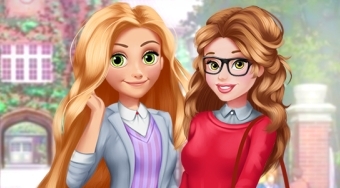 Help princesses Belle and Rapunzel make their stay at the university more pleasant. Decorate their room and choose them the most fetching clothes for the first day of school.